[Diocese of Washington] Bishop of Washington Mariann Edgar Budde announced in a Dec. 7 letter the appointment of the Rt. Rev. Chilton Knudsen as assisting bishop in the Diocese of Washington. Read the full letter below. To read Knudsen’s farewell to the Diocese of Maryland, where she’s served for three years as assistant bishop, click here. I am thrilled to announce that Rt. Rev. Chilton Knudsen will join the Diocese of Washington as Assisting Bishop, effective February 20, 2019. Bishop Knudsen served as Bishop of Maine for a decade (1997-2008) and has since served a missionary in Haiti and as an assistant bishop in four dioceses. She will complete her ministry in the Diocese of Maryland at the end of 2018. Bishop Knudsen is a good friend to many in the Diocese of Washington, and she is known for her pastoral warmth, skill in conflict resolution, congregational development, and issues related to addiction and recovery. A person of great spiritual maturity and love for the gospel, she is excited to serve Christ among us. We will be richly blessed by her ministry. As Assisting Bishop, a half-time position, Bishop Knudsen will help with parish visitations (two per month), ordinations, confirmations, and other events where a bishop is needed. She will work alongside Archdeacon L. Sue von Rautenkranz in the Deacon’s School. 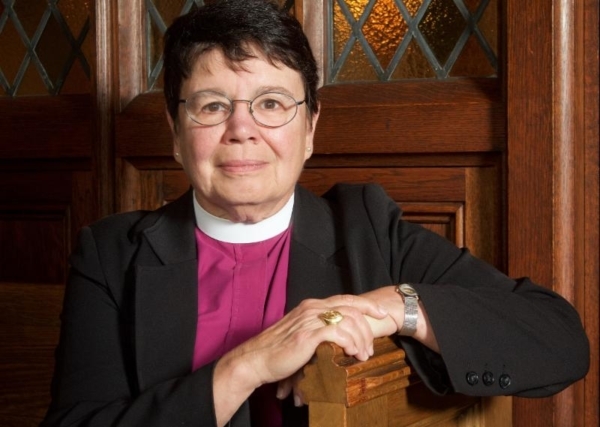 Already known and admired among EDOW congregations in southern Maryland, Bishop Knudsen will devote much of her energies among the clergy and lay leaders there, and, in particular, support the strategic planning process in their context. She feels a special call to congregations on the geographic borders of a diocese and thus will also develop pastoral relationships in our northernmost regions. Bishop Knudsen and I have been in conversation about this possibility for half a year. In consulting members of the Diocesan Council, the Standing Committee and other diocesan leaders, I have received enthusiastic and unanimous encouragement to invite Bishop Knudsen to serve here. I look forward to her collegial support and sharing the ministry of this wonderful diocese with her. You should know that Bishop Knudsen’s ministry is her gift to us. She will receive only modest reimbursement for her work-related expenses and travel to gatherings of the House of Bishops and the consecration of bishops she has mentored. As Assisting Bishop, she will work on a 12-month, renewable letter of agreement. Please join me in praying for Bishop Knudsen and all in the Diocese of Maryland as they mark the end of her ministry there. We can look forward to welcoming her among us in February.